I only had 14 hours in Vegas. I didn’t have time to explore everything the way I wanted to. But what I saw of the Planet Hollywood Resort & Casino was definitely enough to let me know I would go back. The rooms in Planet Hollywood are really quite spacious. The room itself is huge, there was a large desk, and the bathrooms are massive with plenty of room for a full, garden-style tub. I was blessed to get a top floor, Strip-view room, and it was magical. The view was super dope! Given PH’s central location, I found myself staring at a large portion of the middle of the Strip. I was directly across from The Cosmopolitan and the Crystal complex and those casinos. And to the right was Bellagio. 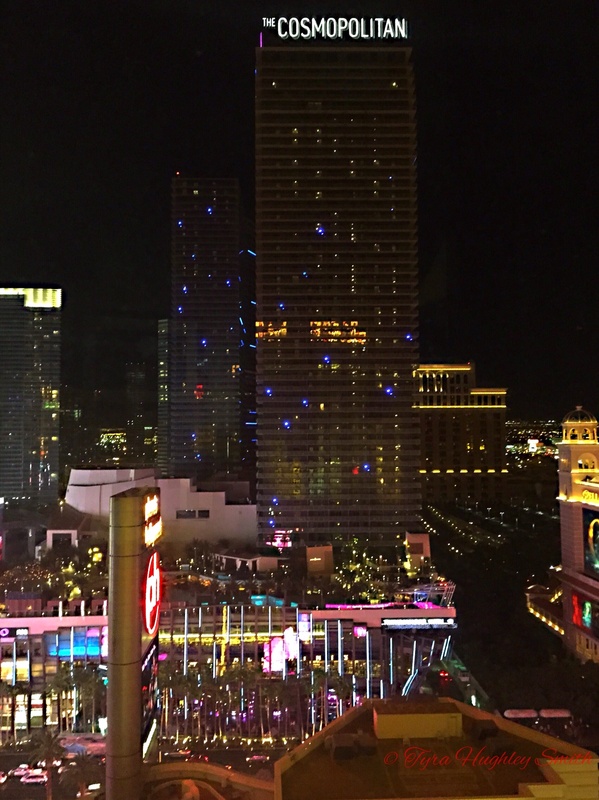 It was a great viewpoint, with all of the lights and the Strip happenings. The room also overlooked the huge pool that I will have to relax at next time I am in town for more than 14 hours. The only thing that made me sad: the Bellagio fountains didn’t go off the whole time I was in the room (and I lingered to try to catch them). The Bellagio should really work on that. As mentioned, the room was super spacious (you could probably do a cartwheel). Well, the rooms are also movie themed. My movie was Johnny Mnemonic, the 1995 film starring Keanu Reeves. 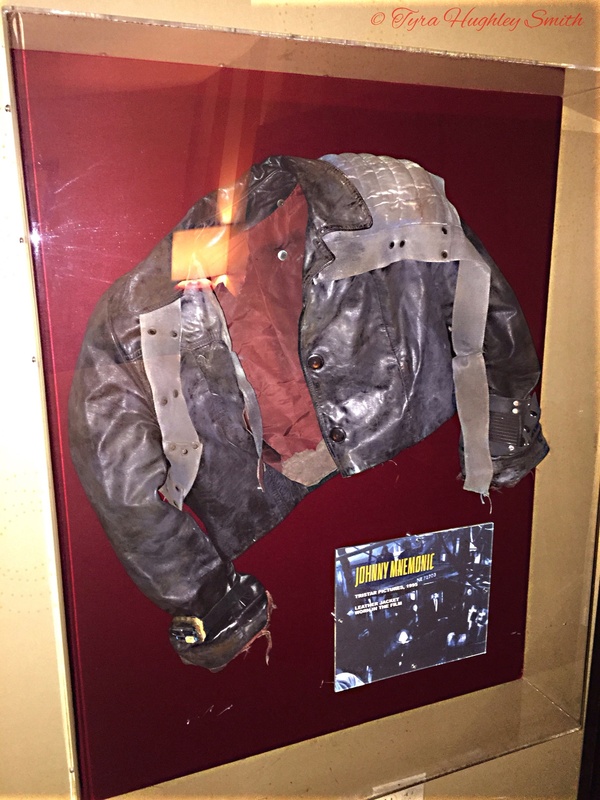 So the rooms featured photos with scenes from the movie and actual props from the movie, like this leather jacket. I would love to check out some other rooms to see the props. It was a really cool, unique touch. The bathrooms were luxurious with a huge open space, stand-alone shower… and that tub. It was perfection. It was deep and long and perfect for someone who is 5’10” like me. I had the most relaxing bath I have had in a while. 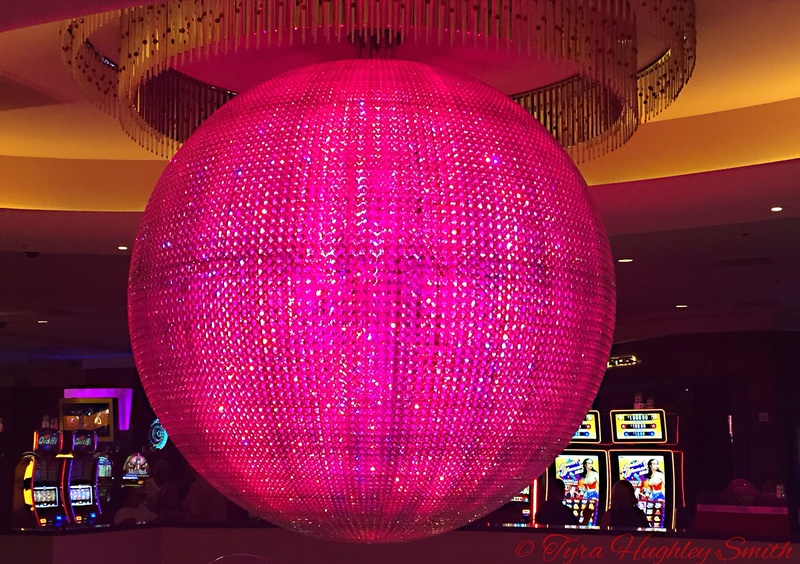 I would definitely stay at the Planet Hollywood again, as the rooms were top notch. Given that I was there for a whirlwind, fun, and exciting stay, I am glad that I chose Planet Hollywood. The central location was an obvious plus. But the casino area was luxurious yet electric without overdoing it. There was a young vibe to the place, but not a I-just-turned-21-obnoxious-drunk vibe (at least not on a Tuesday night LOL). 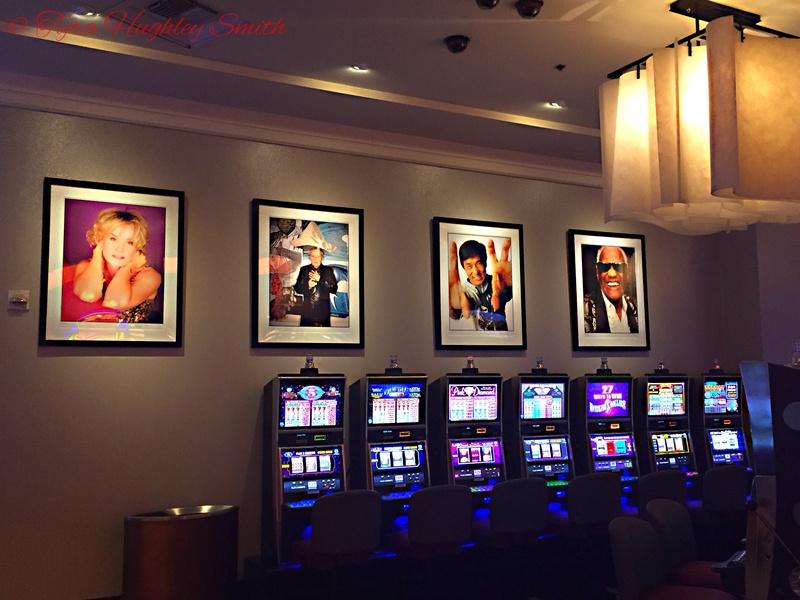 I enjoyed the casino décor, the bling, and the Brittney Spears-printed elevators. Not to mention the fact that casino had a great aeration system, and I didn’t detect any smoke, which I am typically sensitive to. The spacious layout added to the openness, and I will definitely be returning to experience some of the restaurants and lounges on property. And, of course, I loved the chandelier. The technicolor ball made me super happy and I just stood looking at the vibrant colors for a while. It was kind of mesmerizing. There was a lot about the Planet Hollywood I didn’t have a chance to experience, like the restaurants, lounges, and a Britney Spears concert, but I look forward to going back. 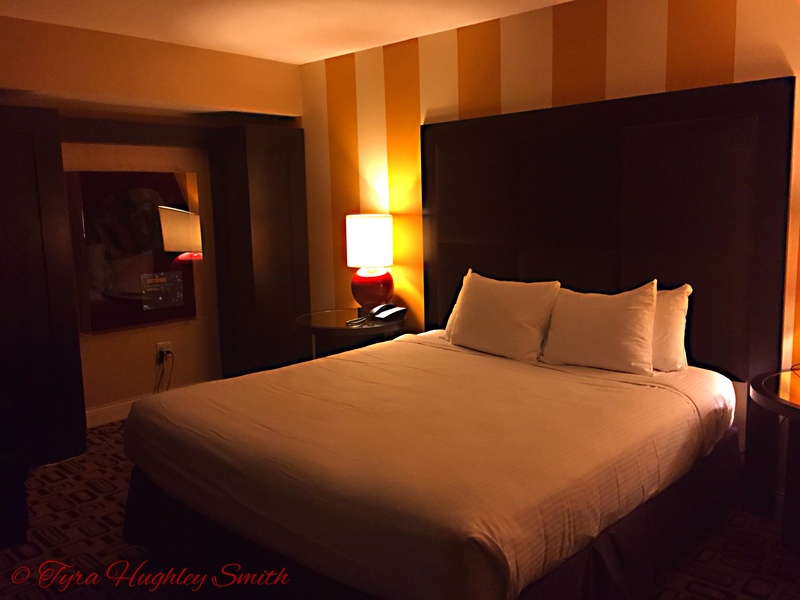 The vibe was upscale excitement, and the rooms were very super spacious and the beds were comfy! 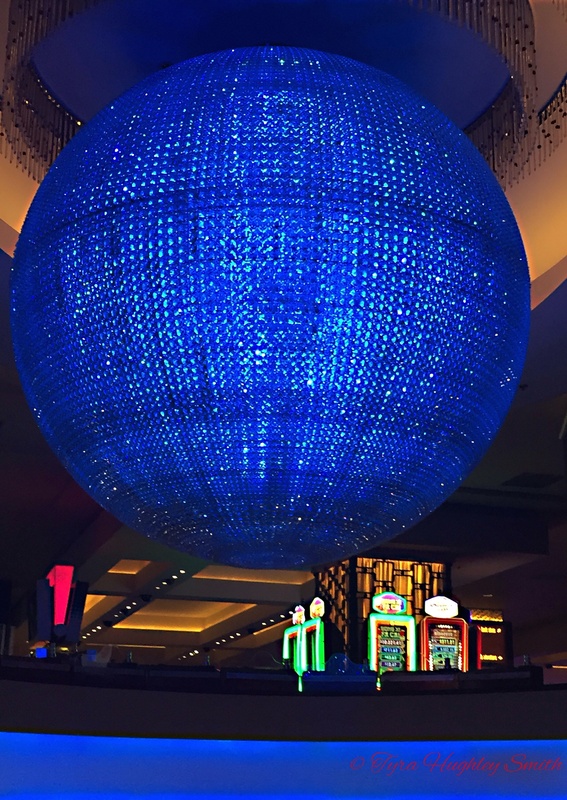 All in all, I give the Planet Hollywood a big thumbs up, and I look forward to visiting again. 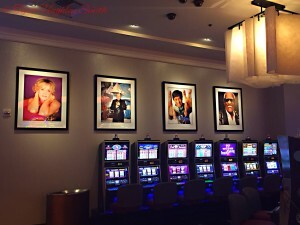 I went to Vegas for the first time in 2010, and I stayed at Planet Hollywood. I loved it and the buffet was everything. I have heard the buffet is a dream. I haven’t tried it but I plan to next time I am there! I’ve been to Vegas many times and never stayed at Planet Hollywood. Next time we go I will definitely look into staying there. As a movie buff, I loved how the rooms were movie themed. Great review! Beautiful hotel! One day I’ll travel to Vegas. It always looks like people have so much fun there. Your pictures are always spectacular. Vegas is on my list of places to visit before my daughter leaves for college. Thanks so much Mia! Definitely hit up Vegas, it’s a great place for the whole family! We are definitely due for trip back to Vegas. We honeymooned there and it was amazing. That view from your room is just bananas! This looks like such a fun hotel to stay at! I love to explore all the hotels on the strip so much fun. I love the room theme, that is a nice touch. I’ve not seen that before. That bathroom is all kinds of good. That Hot Pink chandelier totally had my name on it. 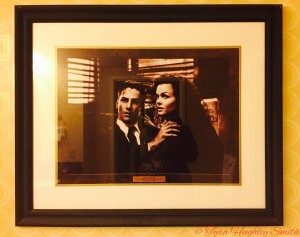 Ooh, I love the idea of staying in a movie themed room. I don’t even care which movie, I just love the idea of seeing photos and props and things from the big screen! What an amazing view. I could sit up there and just watch everything below for hours. And the room is so cool with actual props from the movie. Vegas is so fun! Who could resist all the shining lights?! Great photos! 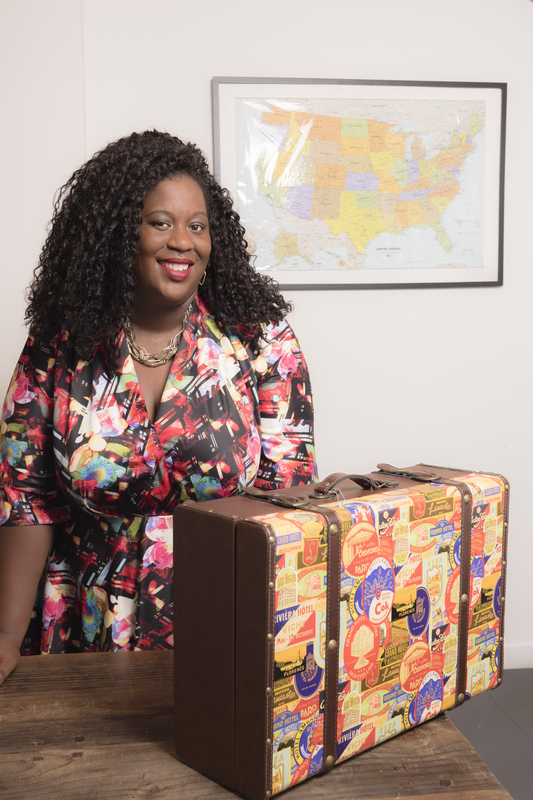 I need a vacation. This would be the perfect place. I have been to Vegas a few times but never stayed at Planet Hollywood but my friends have and they love it. From what I have seen, it looks like a great place and the buffet was good. I haven’t stayed there yet but I’ve walked through it. It really is a nice hotel. The whole hotel theme is an eye catcher! I am now driving distance (okay like 10+ hours but still) from Vegas. Much closer than I was when I was in Canada. I can’t wait to go! Hopefully next year..
Wow – just the site of the pool area made me want to get in better shape so I could be there! 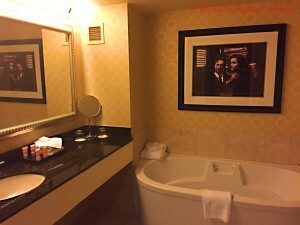 lol The room looks spacious and your right that bathroom looks and sounds like perfection – what a great time! I am going to be 29 tomorrow and STILL haven’t been to Vegas. I definitely want to go to Vegas soon but it doesn’t seem like it’ll be possible this year. I like that you had a great time in a short trip! Happy Birthday! Just get there and have a great time. 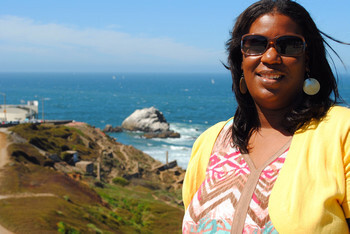 It really can be an inexpensive city if you do it right! Those chandeliers are certainly fun! I’ve never been to Las Vegas, but this looks like a lovely place to stay. Looks like you had a great time. Las Vegas is one place I’d love to visit. Those views look amazing!! Such a nice view! I’m supposed to go for my 30th. I’ll put this hotel on my list. Great pictures. This sounds like a great place to stay while in Vegas. I would love to go and see Britney while I was there. 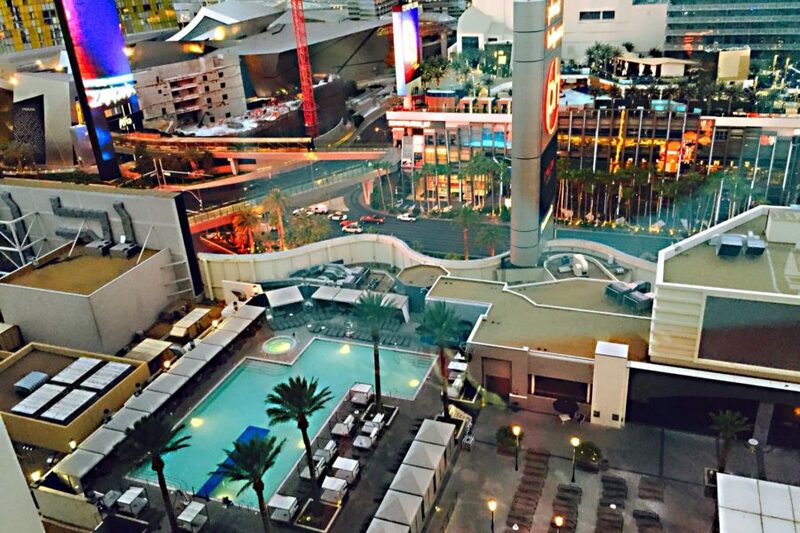 A trip to Las Vegas sounds amazing right now!